History has shown that Star Wars fans will buy anything. Food, sheets, underwear—anything with Star Wars on it sells. Well, maybe not “anything.” They seem to be pushing the boundaries with their latest creation, an electronic dance album. 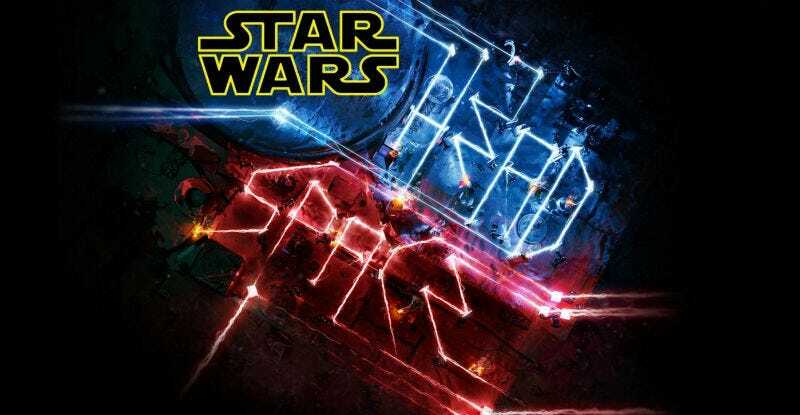 It’s called Star Wars Headspace and will be released digitally on February 18, and to retail stores on March 18. The album has a crazy pedigree: It’s produced by music legend Rick Rubin, and features the work of several well-known electronic artists (or so they say, I must admit some ignorance with this subject matter). Overall, the idea is “original electronic dance music infused with Star Wars sound clips and effects.” No John Williams though. Here are some examples, courtesy of the official site, which also has the full track list. Oh, and if you aren’t sure who “Shag Kava” are, that’s reportedly the moniker adopted by J.J. Abrams and Lin-Manuel Miranda, who did the song for Maz Kanata’s place in The Force Awakens. The idea of a Star Wars concept album isn’t something that’s new, but this official foray, especially under the Disney umbrella, is. There’s obviously an audience for this, it’s just not me. Is it you?